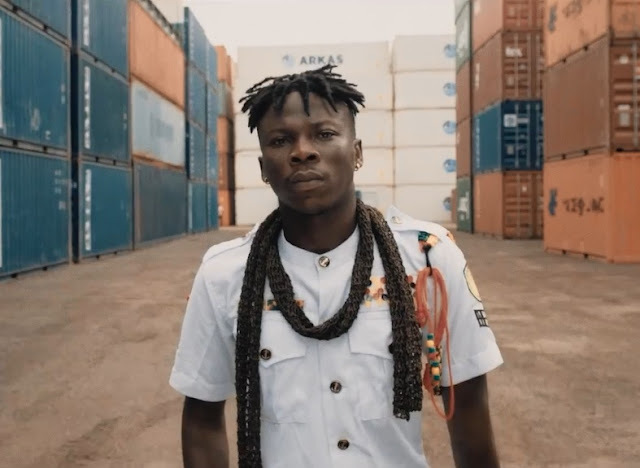 After enjoying a successful year which has seen him win multiple awards including the coveted Best International Act – Africa at the 2015 Black Entertainment Television (BET) Awards, Stonebwoy has a thank your present for his fans. The artiste believes that his year has been largely successful due to the huge support he has received from his fans. The best way to show his appreciation, the Ashaiman-based musician says, is to give them a song for the Christmas festivities. According to the dancehall artiste, who recently bagged four awards in just 24 hours in Ghana and Nigeria, the song, MIGHTYLELE, which means mighty, is a perfect dance song for the yuletide. Stonebwoy, born Livingstone Etse Setekla, giving the rationale behind the song said it is his way of heeding to the call of his numerous fans who have been asking what he has for them this Christmas. “Lots of fans have been asking me what’s new for Christmas on top of the hits in the system?” he said. His fan base, Bhim Nation, and those outside that circle, are an integral part of his music. His songs, he noted, are largely inspired and influenced by the feedback from his fans. MIGHTYLELE is produced by Beatzdakay.